The shedding of dead skin cells from the scalp means you fight with dandruff. As skin cells die, some flaking in the form of white, snow-like particles is rather common. Dandruff becomes a serious problem when the symptoms are more serious. The scalp gets red, itchy and lots of flaking are the symptoms that should get you worried. Let us get something straight: dandruff is necessary as it is related to the shedding of dead skin cells. In some situations, though, dandruff is a serious problem that may have specific triggers. Keep in mind that dandruff is not related to poor hygiene or not enough grooming for your hair. And, as it’s a problem per say, dandruff comes with some solutions also. The market gives you so many shampoos that are determined to solve the dandruff problem. Most of them are chemical-based products and have some side effects on the long run. You can use, instead, the natural oils that are better for keeping dandruff under control. Don’t get lost though…Not all of the natural oils actually work on dandruff and you only need to scroll down to get a better image on the natural solutions. 0.1 Which hair oils work for dandruff? Which hair oils work for dandruff? The fatty acids in the coconut oil have antiviral and antibacterial properties, which make them efficient for cleaning and treating the scalp. The coconut also nourishes and moisturizes the hair and you only need to use 1 or 2 tablespoons to your scalp. Massage the coconut oil into your whole head and insist on the problem spots. Leave it like this for 15 minutes and shampoo afterwards. Tea-tree oil, an essential oil, actually kills bacteria and yeast that may build up on your scalp, causing dandruff. You can use 10 drops of the oil into your scalps and let it work for 2 minutes before shampooing. If tea-tree oil doesn’t fit your likings, you can also try some other essential oils for the dandruff problem: rosemary, sage, peppermint, ylang-ylang, lavender, patchouli, eucalyptus and juniper. When fighting the dandruff, you can give it a go with the worthiest of its name olive oil. The olive oil is quite often used control and fight the severe dandruff. As it has high moisturizing abilities, olive oil is a common solution and you can simply massage your hair before going to bed. It’s best to insist on the scalp as there it is the main cause for the dandruff. You can wash your hair in the morning with some mild shampoo. You should use the olive oil on a daily basic if you want to keep the dandruff under control. As it’s very close to the human sebum, jojoba oil is also an efficient way to get rid of the dandruff. This oil is used by dermatologists, massage therapists and cosmetologist and you can put some drops of the jojoba oil onto the scalp. Keep your hair under a warm towel for 10 minutes and do this every now and then. Rosemary oil is another essential oil that may be used against dandruff. You can dilute it with your regular shampoo or some water for cleansing your hair. As a general rule, always use essential oils (like the rosemary) in a diluted form as it’s too strong as it is. Learn to make the difference between a dry scalp and dandruff. You might think you need to fight against dandruff when, in fact, you simply need to help your dry scalp with some moisturizing oils. It’s better to always dry your hair when wet and try as much as you can not to scratch your scalp. Use an anti-dandruff shampoo and don’t be afraid to try some home remedies, as they might work for you. Last, but not least, don’t be afraid to get out of the house and stay near your friends. After all, dandruff is neither a disease or contagious…! When you want to try a simple remedy for your dandruff, give it a try with the Tea Tree Oil – HUGE 4oz – Pharmaceutical Grade. The pharmaceutical grade Tea Tree oil contains 100% pure tea tree and the oil is bottled in our USA. The tea tree is well known for its properties when it comes to various conditions. It’s safe to use as topical remedy, but is very efficient diluted with a carrier oil like coconut oil or Jojoba oil. The oil comes with a high quality glass dropper so that you get just the right amount that you need. The tea tree oil soothes the scalp, diminishes itching and helps dandruff go away. You can add few drops of oil in your shampoo on regular basics. Your hair remains clear and not oily. 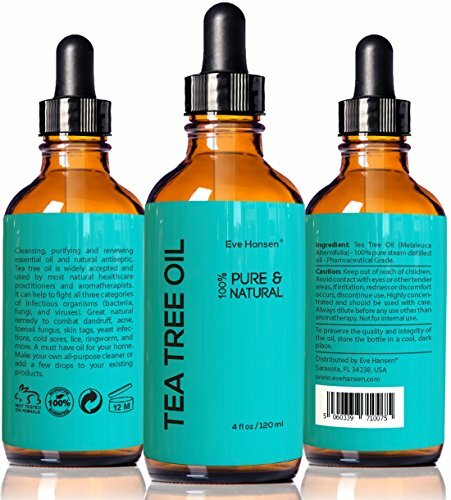 The tea tree oil is also efficient on other health issues: acne, eczema, dandruff, fungal infections of the nail, yeast infections, cuts, burns and abrasions, insect bites and stings, lice, ear infections and so much more. All in all, for a good price, you get a big bottle of tea tree oil that eliminates dandruff and keeps your scalp clear, soothed and itching-free. If dandruff is not the only hair problem that you’re dealing at the moment, but you would also want thicker, faster growing hair, try theAL-SHAAFI 50Plus Herbal Hair Oils in ONE. 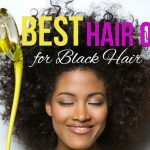 The oil addresses to all kinds of hair problems so it’s a good investment of your money. The oil is able to repair your damaged hair, to repair bold patches. 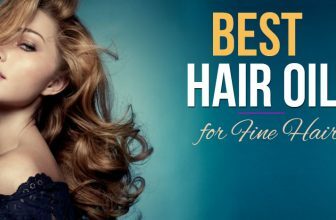 It’s helping your hair to grow faster and thicker. The dandruff is eliminated and the scalp gets clear and itching-free. The oil calms and cools your scalp. it’s also efficient when it comes to premature silvering of the hair color. 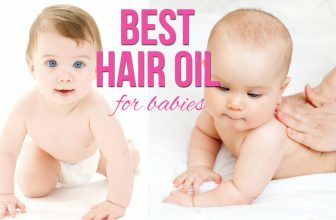 Both women and men can use this oil, no matter the hair type. The oil contains plenty of natural oils and each of them contributes to the efficiency of the oil. The organic herbs, seed extracts and essential nutrients nourish the hair follicles, encourage hair growth and repair hair damage. Despite the minor cons, the oil is still a great, natural formula that works for many hair conditions, not only for dandruff. 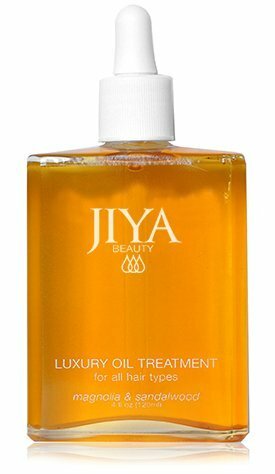 For a luxurious feeling on your hair, try the Jiya Beauty – Luxury Organic Hair Oil Treatment. The oil is full of organic oils and botanical ingredients that work on many levels, not only dandruff. The oil nourishes and strengthens your hair, tames flyaway and keeps you scalp healthy. The oil may be used for an overnight treatment in case you’re dealing with dandruff, but it also may be used on the go, for a quick fix on your fizzy ends. The oil contains coconut oil, that maintains your hair strong, nourished and young for longer time. Coconut oil is full of lauric acid that goes fast into your hair’s shaft, sustaining protein content. The coconut oil moisturizes and gives a good balance to your irritated scalp just as well. The grapeseed oil in the oil is full of anti-oxidants and linoleic acid that hydrates and soothes your scalp. the astringent properties of the grapeseed oil energize and give shine to your hair. The oil has also argan oil, a great source of Vitamin E that is great for hydrating the skin. As it also has anti-oxidant properties, the argan oil heals scalp, split ends and keeps premature aging at distance. The Magnolia extract within the oil not only gives a nice, subtle fragrance, but it also has a relaxing effect. As it restores the moisture on your hair, the sandalwood oil from the Jiya Beauty is a great support for healing the dry scalp when dealing with dandruff. Some may consider this oil to be a bit pricy, but for the efficiency it delivers on so many levels, we think the oil is a good solution for dandruff and so much more. 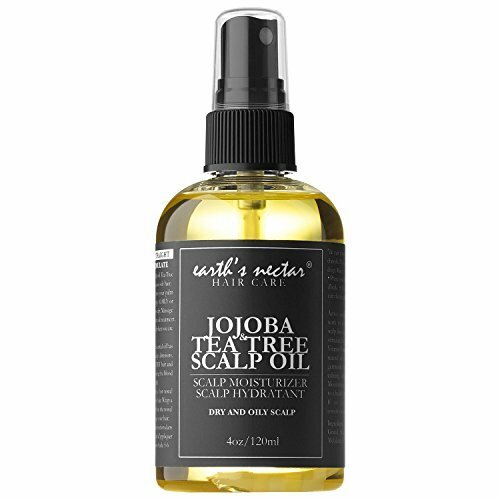 The natural ingredients of the Earth’s Nectar Jojoba & Tea Tree Scalp Oil make it a nice, reliable option when you are dealing with dandruff for some time. The active essential oils of tea tree are efficient for healing your irritated scalp. the scalp is soothed, calmed and helped to recover. The itching is minimized and the dandruff slowly goes away. The jojoba oil and the vitamin E encourage natural oil production. The natural germicide from the tea tree has calming effects for the itchy scalp. You need to massage scalp with essential oils to improve blood circulation in your scalp. you can do it once a week for 15 minutes, if your hair is curly or coil. The straight and wavy hair should benefit from this type of massage every two weeks. Better blood circulation for your scalp means better growth of healthier hair and a healthier scalp altogether. The hair is cleansed, the scalp is healed and gets itching-free. The hair gets shinier, healthier and smoother. It becomes frizz-free and easy to style. All in all, the oil is efficient, solves the dandruff problems and brings many other improvements for your hair and scalp. 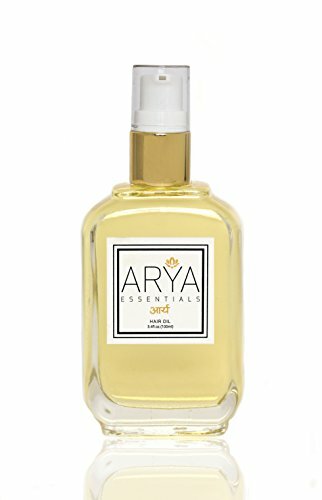 When you’re ready to take the leap of faith and pamper your hair, try the Arya Essentials Hair Oil. The oil is formulated with Coconut, Amla and various essential oils that all work for the benefit of your hair. 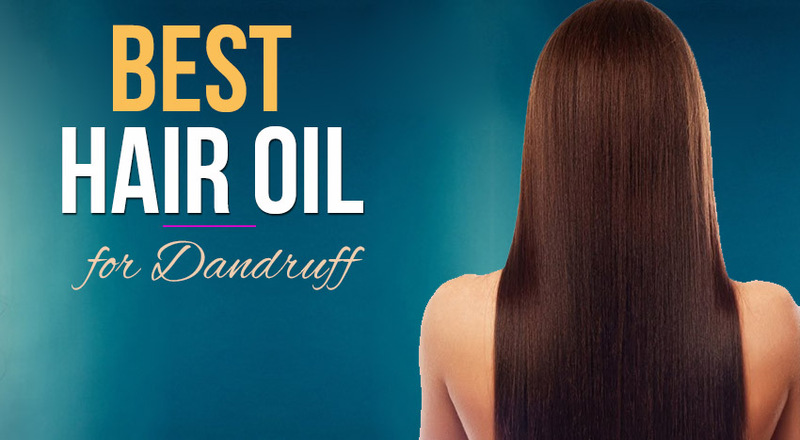 The oil cleans your hair from dandruff and calms your irritated scalp. It heals the scalp and minimizes itching also. The hair grows healthier and stronger. It becomes shiny and clear of dandruff flakes. It gets fizz-free and easier to style. Amla inside the oil not only eliminates dandruff, but it also fights against hair fall, whereas Bringaraj encourages hair growth and works on premature graying. The strands become stronger and the hair gets nourished and younger when using the oil. For best and obvious results, massage hair oil into scalp and hair and leave it in for 10-15 minutes. For a complete conditioning, cover your head with a warm towel after massaging oil into hair and let it rest for no longer than 30 minutes. You should do this twice a week in order to see the results. The oil wears a nice fragrance and has a lightweight texture. It doesn’t weigh down your hair and a little goes a long way. Apart from the rather high price, we have no cons. Take it as a good investment of your money on the long run, as the oil not only is efficient, but it’s long lasting also. When you find yourself sitting on a fence and can’t really decide if you should pay the extra buck for an efficient hair product, or get the lower priced solution, do…neither of them. Go with the compromise solution and pay a little bit more than the lowest, but not as much as for a high-end beauty product. You might get surprised that for a good price you also get great quality and performance. 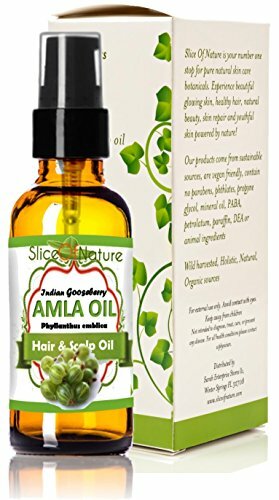 The Slice of Nature AMLA OIL for Hair – 100% Natural is a good example for this category. The oil contains Amla oil and has no chemicals, no mineral oil and no synthetics whatsoever either. The amla oil is an efficient oil against premature graying and is able to strengthen the hair follicle. The hair doesn’t thin anymore and the split ends disappear. Additionally, the dandruff is eliminated and the irritated scalp is healed and soothed. The itching slowly goes away and the scalp heals from dandruff. The amla oil consists of various essential fatty acids and lipids that are good for the health of your scalp and hair. 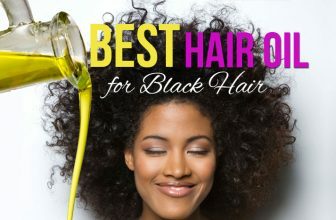 The oil encourages also the natural growth of your hair and gives your hair a nice texture. Your hair is smooth, shiny and easier the manage. A little goes a long way and the oil may be used for long time. It is lightweight and doesn’t weigh your hair down. Apart from its specific fragrance that might not suit everyone’s taste, we have no cons. The oil is an efficient, reliable solution for any budget. When your budget is limited and still want to try some efficient solutions for dandruff, try the Himalaya HERBALS Anti-Dandruff Hair Oil. The herbal Ayurveda Hair Oil is a natural option that not only purifies, but also moisturizes your scalp and slowly keeps dandruff at distance. The essences of Neem are strong when it comes to detoxing and purifying and they minimize infection that causes germs. They also improve scalp’s health and encourage the absorption of moisturizing oils. The oil contains rosemary, vetiver ant tea tree- they are all great for toning and disinfecting your scalp. They make the skin stronger. Thus, the oil has anti-bacterial and ant-oxidant properties. As the ingredients are mildly astringent, the oil manages to tone and strengthen your skin that becomes able to soak in moisture and remain hydrated for the whole day. Due to the combination of anti-inflammatory and disinfecting action of the ingredients, your scalp remains cool and moist. The skin of your scalp gets restored, healed and well moisturized. The herbal formula fits all skin types. It soothes the skin and the itching is minimized when using the oil. The dandruff goes away. You may apply it at night and shower with a good shampoo in the morning. It’s safe to use it daily. Despite the cons, for the low price you pay, you get an efficient, reliable and natural oil to fight dandruff. Once you get your head around, you can give it a go and try for your hair condition the Premium Quality Emu Oil for Hair Growth. The emu oil is highly efficient for minimizing redness, itching and dryness and stretch marks. It may even heal the old scars. When it comes to hair, emu oil moisturizes and hydrates the scalp and the dry hair. It heals you damaged hair and helps it grow faster and stronger. You may also use the emu oil for your skin, as it’s full of Vitamin e, D and Omega 3. It nourishes your skin and makes it younger again due to the fatty acids within. Emu oil contains oleic acid, stearic acid and linoleic acid, which makes the emu oil highly similar to the human skin oils. The oil has no scent and a little goes a long way. It absorbs fast and gives immediate results. The emu oil helps your hair shine again, without leaving an oily feeling behind. All in all, as it clears your scalp from dandruff, heals your irritated dry scalp and so much more, the emu oil is a good option any given day. Sometimes it happens that you are not only dealing with dandruff, but also you struggle with your hair falling also. So you need a product that doesn’t just solves the dandruff problem but also gives your hair strength and encourages it not to fall anymore. 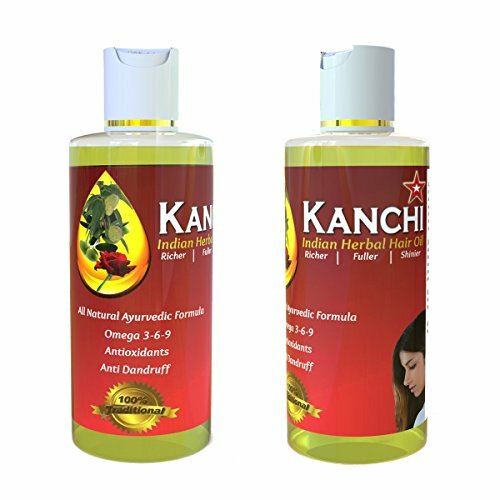 The Kanchi Indian Herbal Hair Oil, Premium Hair Oil, 100% Organic is made with a natural Ayurveda formula which works for the dry, frizzy hair that also fights against dandruff. The oil contains only organic ingredients and is sulfate free, paraben free and has never been tested on animals. The oil is able to nourish and heal your scalp and hair. Your scalp is soothed and the itching goes away. The dandruff is eliminated and your hair grows stronger and shinier. The oil moisturizes and hydrates the dry scalp from dandruff. It has a formula that works both for women and men, no matter the hair type. The oil contains cold press argan oil, almond oil that brings all fatty acids (Omega 3, 6, 9), vitamin E and magnesium. The almond oil gives strength to your hair and eliminates hair-fall also. The peppermint oil eliminates dandruff, whereas the castor oil helps your hair grow stronger and diminishes hair loss. The oil has a lightweight texture and doesn’t weigh down your hair. Your hair is well nourished, clear from dandruff and doesn’t fall anymore. It gets frizz-free and easier to manage. 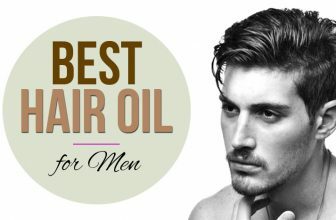 Even though there are some cons, the oil is still highly efficient when it comes to your main hair issues: hair fall and dandruff, but works on other levels just as well. 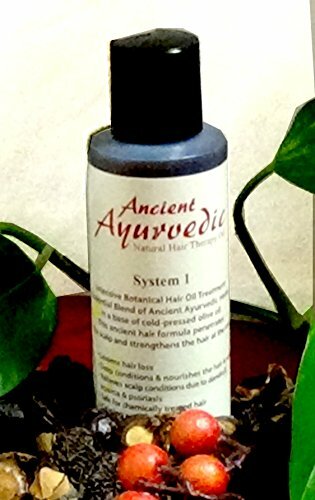 If you are patient enough and want to try an Ayurvedic oil treatment for dandruff, give it a go with the Ancient Ayurvedic Herbal Hair Therapy Oil- System. The Ayurvedic herbal formula is Ph. balanced and may be used also by the colored hair. You may use it on regular basics, daily, no matter your hair type. 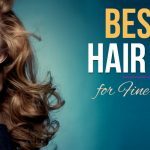 The essential blend of Ancient Ayurvedic herbs is based on a cold-pressed olive oil and is able to go deep into the scalp to strengthen the hair at the roots. The oil works on hair loss and nourishes the scalp. it calms and minimizes itching. The oil eliminates flaky dandruff and heals the irritated scalp. The oil also brings comfort on a headache, but this is just a bonus. You can use the oil as a deep conditioning or leave-in conditioner. You can use the oil up to three times for best results. When it comes to the ingredients, there are so many to mention. Amla nourishes the scalp and keeps at distance grey hair, whereas vitamin C Shikakai sustains hair growth, eliminates dandruff, improves hair texture and gives your hair shine. Neem is an efficient anti-oxidant, anti-fungal that encourages hair growth and keeps dandruff under control. The oil also contains Bhringraj, Brahmi, Eclpat Erecta-all ingredients that work for your hair’s health. Last, but not least, the oil also contains coconut oil and olive oil. As for the cons, we only need to specify that the formula needs more than just a week to work so you have to be patient for the results. But, in the end, the results are there and the oil is sure worth to buy. Using a hair oil that eliminates dandruff and also takes care of your dry scalp might seem difficult for some, but it’s not impossible for sure. You want a nice, gentle oil that solves your dandruff problems, but also moisturizes the scalp, without making it too oily. The Isabella’s Clearly Free manages to bring comfort on your dry scalp, but to also be efficient regarding dandruff. The oil moisturizes and nourishes your dry scalp, eliminating dandruff and flakes. The scalp is well taken care of and is not dry anymore. The itching goes away and so does the scalp irritation. The oil gives fast results and wears a nice, subtle fragrance. It soothes the scalp and helps with dryness of scalp. the pump makes it easy to use. your hair becomes clear and glossy, without any oily feeling. The oil has a lightweight formula that doesn’t weigh down your hair. The formula contains 100% therapeutic grade, natural and essential oils. There are no chemicals or preservatives. The oil is free of sulfates, phthalates, paraben, DEA, PEG and formaldehyde. It has never been tested on animals and is also 100% vegan. The oil is handcrafted in our USA. All in all, as it moisturizes your dry skin on scalp and keeps dandruff at distance, the oil is a good option when fighting the both hair problems.